Doug Hoyer has become the river!!! His dance rudiments have skipped easily onto higher plateaus of creation.Blending liberally the grime and grease of 80s new wave with his kaleido-pop senses, Hoy-boy has refracted new kinds of light with this one. The creative energy of his Bike Month records seems fully realized in his time honoured song-writing specialties. Listen for a multitude of well laid production choices and off camera winks. These jams are glorious! 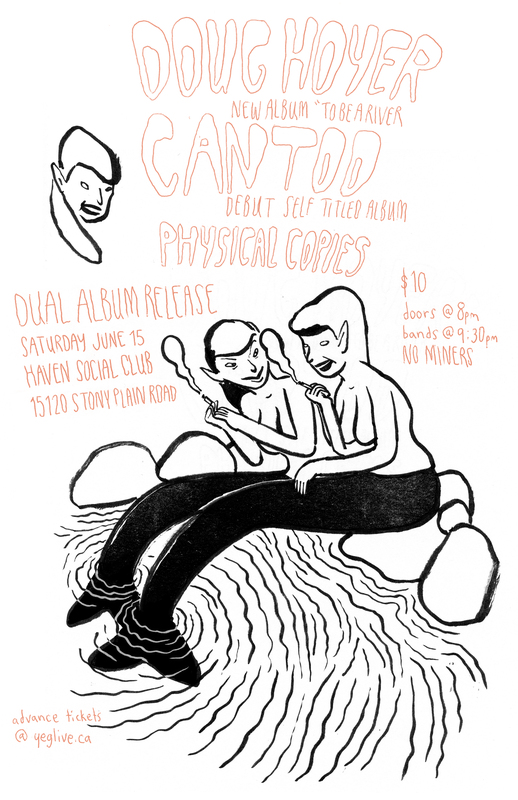 Release show is June 15th at Haven Social Club with Cantoo. Album is available for purchase here. Step to this!